Follow the domestic antics of a growing family, as they tumble, balance and leap through their chaotic and colourful life. Once the perfect home for one, The Ramshackle House suddenly finds itself bursting at the seams with two new occupants, who must learn to make space for one another. With the world outside constantly changing, their little house suddenly seems even more precarious. Created through working with families, The Ramshackle House authentically reflects modern family life and how we navigate change and pressure, both as individuals and together. 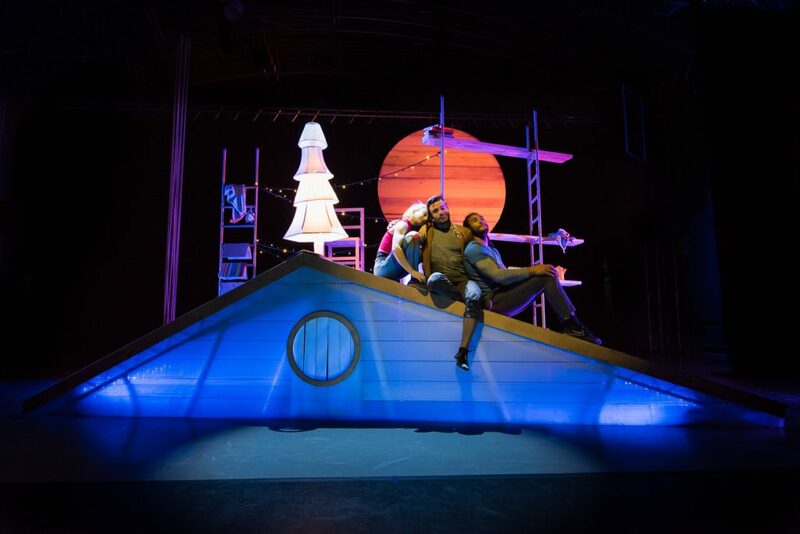 Love, laughter and silliness are woven into an engagingly relevant tale of imperfect family life and the importance of home. 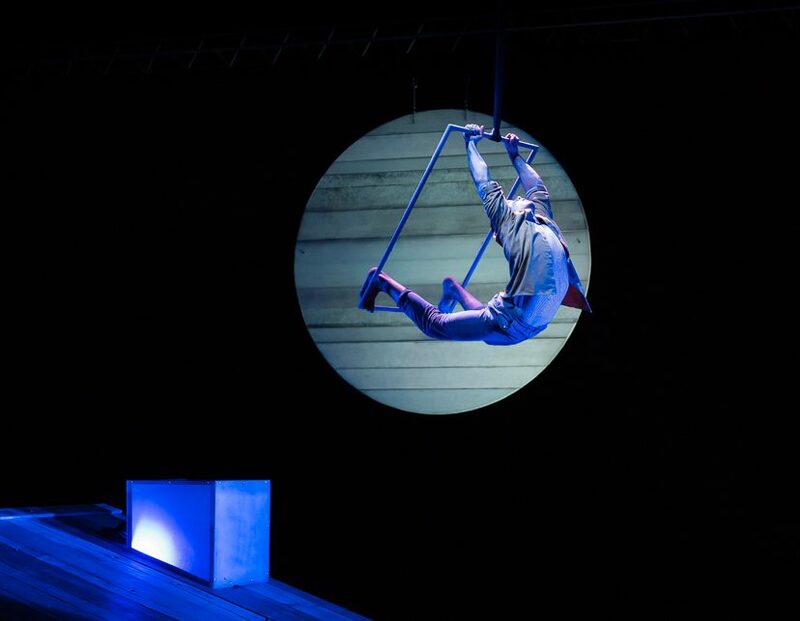 This awe-inspiring performance with serious narrative bite combines playful comedy, dazzling multicorde aerials and a bespoke aerial frame that transforms into a new home before your eyes. At the heart of the show is how people deal with the changes that occur when you want to / have to make space for other people in your life. The internal pressures of becoming a family articulated in a way that is interesting, engaging and celebratory. Special thanks to Mike Corr, Chris Elwell, Nathan Johnston, Charline Kandilian, Alcina Mendes, Hannah O’Leary and Nat Wittingham. Available for touring from April 2019. Created and produced by Upswing. Presented in partnership with Stratford Circus Arts Centre. Co-commissioned by Creative Black Country and The Gulbenkian. Supported by Arts Council England, The National Lottery, The Austin and Hope Pilkington Trust, CHK Charities Limited, Forest Arts Centre and The Foyle Foundation.